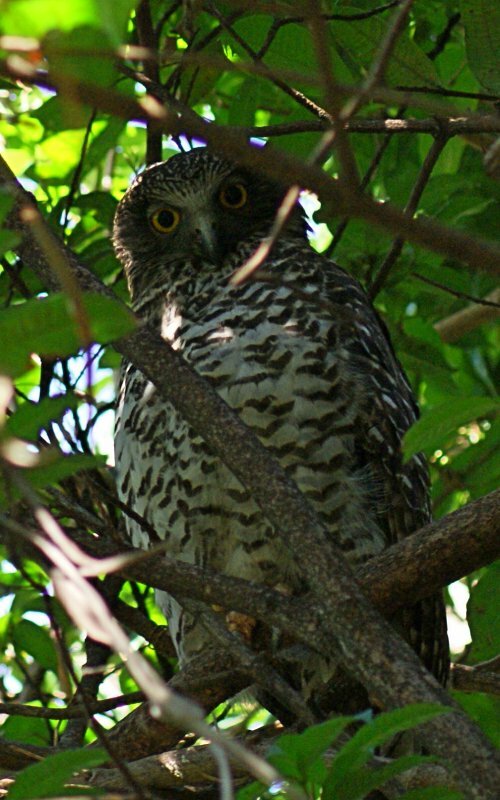 This is the largest owl in Australasia and is endemic to the eastern coast of Australia. As owls go, they are pretty big indeed and can take prey as large as possums. 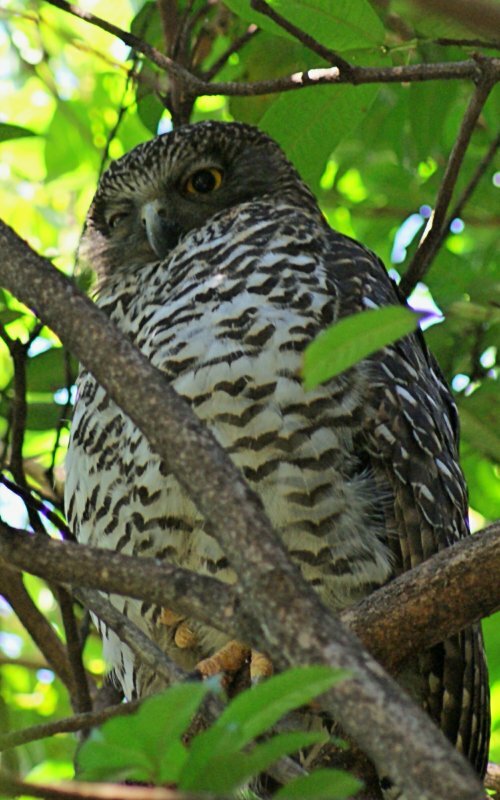 They are a member of the Hawk Owl group, which all have pale eyes. 1-2: Royal Botanical Gardens, Sydney, 05/09/2010.